Describe what you think it means to be a geophysicist. To me, being a geophysicist means being an explorer. Whatever you can think of that lies beneath – from oil to water, caves to unexploded bombs, minerals to pirate’s treasure – a geophysicist can help you find it and study it by using an array of scientific instruments that measure natural forces and man-made forces to determine the physical properties of the subsurface. 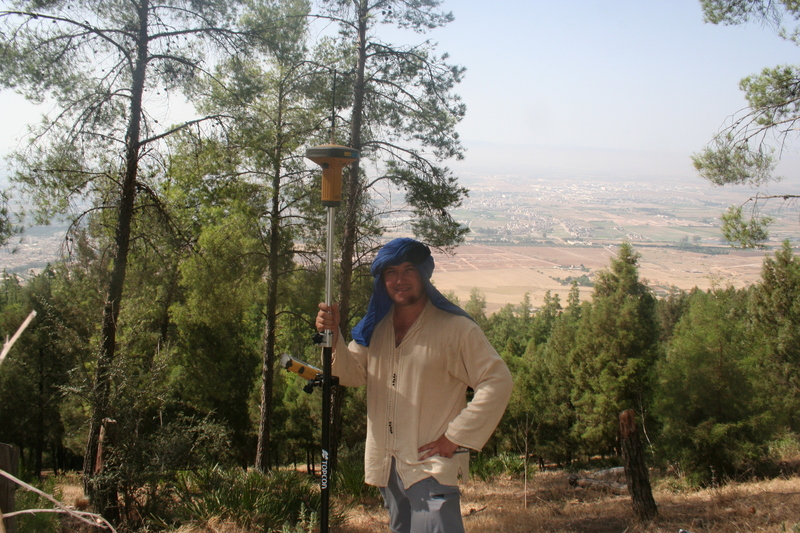 A large part of a geophysicists’ job is collecting data in different parts of the world, and then analysing it on a computer and interpreting the results. Measurements can be taken on land, at sea, in the air or even from space. Being a geophysicist means being able to help people solve problems across many sectors including the environment, engineering, archaeology, mineral exploration, oil and gas exploration and treasure hunting. What skills do you need in this kind of work? To be a field geophysicist you will need a combination of practical and technical skills. You need to have the ability to operate scientific instruments but also be happy to dig holes all day to bury pieces of equipment, or swing a sledge hammer all day as a seismic source and then have the know-how to analyse the data afterwards. It all very well being able to set up an instrument that can measure variations in the earth’s magnetic field as a result of fluctuations in the solar wind bombarding the earth’s atmosphere, but can you change the wheel on your truck on the way back to camp? It is very helpful to have this combination of skills to allow you to do your job properly. You need to be happy to work outdoors in a wide variety of environments – whatever the weather! You may even end up sleeping outdoors in field camps. The job can at times involve high levels of responsibility and stress e.g. when working in remote locations and unfamiliar environments, but also offers great opportunities to be creative and solve problems. Working in parts of the world that you would never get to as a tourist. The fact that every single job is totally different – you are in a different place, using different equipment, looking for different things. One week I could be in the Seychelles looking for an eighteenth century pirate’s treasure, the next on a volcano in Greece, the next on a rubbish tip on the outskirts of Glasgow. I never get bored. The job makes me feel like I am doing something useful. There is great camaraderie on jobs – when you work in challenging environments with a small team, sometimes in dangerous locations, a special bond exists with your workmates. You often spend 24 hours a day with your team for weeks at a time. Sometimes you have to go on jobs at short notice which is exciting. e.g. the Deepwater Horizon oil spill in the Gulf of Mexico. It’s exciting to see things that may never have been seen before – this morning I was looking at 10,000 year old sand dunes that lie beneath the Irish Sea. Are there parts of the job you don’t enjoy? Being away from my family for extended periods can be a challenge. What tends to happen is that you become more office based as you get older. A typical career would be spending most of your 20s travelling before becoming more office based in your 30s once you have some years’ experience in the field. This is not always the case, but most geophysicists will spend some years “in the field”. You can find jobs where you do a combination of field work and office work, where you are involved in data collection, then spend time in the office doing the interpretation and writing the report. What advice would you give to people considering your job? It’s a hugely exciting career, especially if you want to travel. Ask yourself if you enjoy working outdoors! Be prepared for long hours and a lot of time away from home. It is critical that you get on well with people because you have to work in a team for most of your career. What are the future trends in employment in your job? Excellent. There is a high demand for geophysicists and not too many of them around – in the UK at least. A combination of degree course closures (e.g. geophysics MSc at Durham and Birmingham) and decreasing numbers of students opting to study physical sciences at university over the last ten years has contributed to a shortage. In this type of job, what is the range of pay and how does that change with experience? You can go from minimum wage for labouring with a geophysics team, perhaps with no qualifications to hundreds of thousands if you run your own business or make it to the higher levels of a large corporation! Range of typical starting salaries: £22,000 – £25,000 with a first degree and around £24,000 – £30,000 with an MSc/PhD. Typical salary at senior level (after about six years), where the post holder is in charge of one or more major projects: £40,000 – £65,000. Freelance geophysicists working out of the UK typically earn between £150 and £600 per day for field work (data acquisition) depending on experience and project location. The higher day rates usually require over 10 years’ experience. Salaries vary between industries e.g. Salary levels will be approximately 10% – 30% higher in the oil and gas industry. In general, day rates for marine geophysics are higher than for land geophysics but this is not always the case.